Reunification of Skyrim is the overarching quest governing the individual battles of the war. Each Stormcloak-controlled hold in Skyrim must be regained, one at a time. Which holds are Stormcloak-controlled depends upon negotiations during Season Unending, and therefore only a subset of the following quests need to be completed. See Reunification of Skyrim for more details. Camps of Imperial Legion soldiers can be found in each hold of Skyrim except for Haafingar. These are marked on the map with the symbol of the Empire. 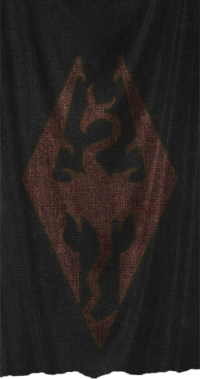 Imperial camps will only ever exist in holds controlled by the Stormcloaks, and vice-versa, so these camps may not exist, depending on your chosen side and progress in the Civil War.